He then told us a story about his life and we helped act out some of the action- even Mr Stevens had a go! It was great fun and we can't wait to keep healthy by walking into school every day. Just before the end of half term we has an exciting visit from.... THE CIRCUS! 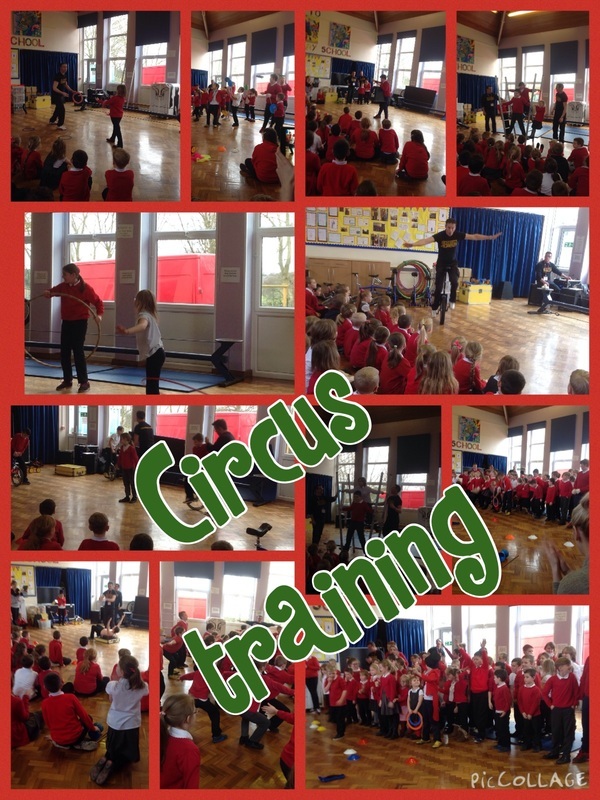 Some circus performers came into school and taught us some of their amazing talents and skills. We spent the day learning how to juggle, tight-rope walk, unicycle, diablo and lots more. Then as a school we created our own circus performance for the parents to see. We had so much fun and can't wait to test out our new skills. We love playing outside in Sunnybrow but we noticed that there was usually loads of rubbish on the floor and on the streets. 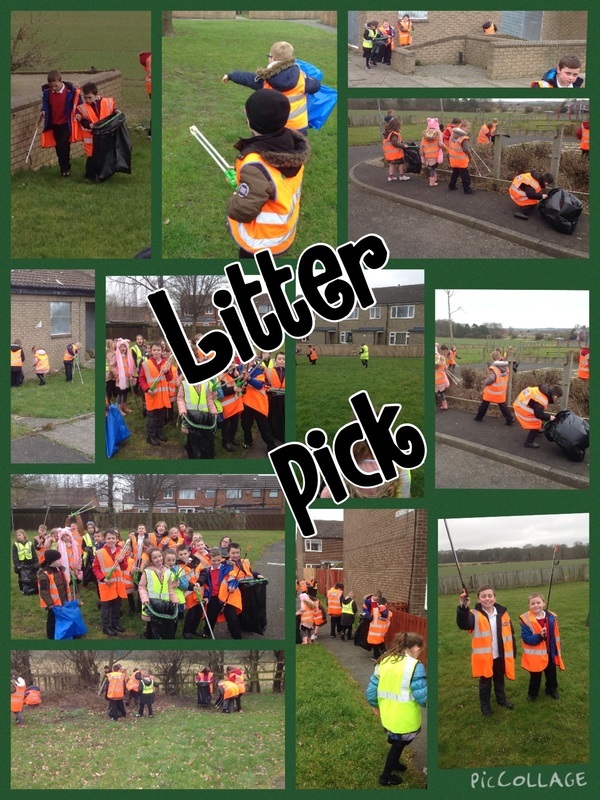 Then Mrs Binks told us we were going to work as a class to clean up some of Sunnybrow and make it a nicer place to play. We had so much fun using the grabbers and some of us even found an old pram! The places we cleaned looked so much nicer with less litter. We promise in Class 3 to never throw any rubbish on the floor and to recycle as much as we can! After all the fun of first aid training in the morning we had an even more fun packed afternoon. Remember the Sunnybrow song we mentioned before? 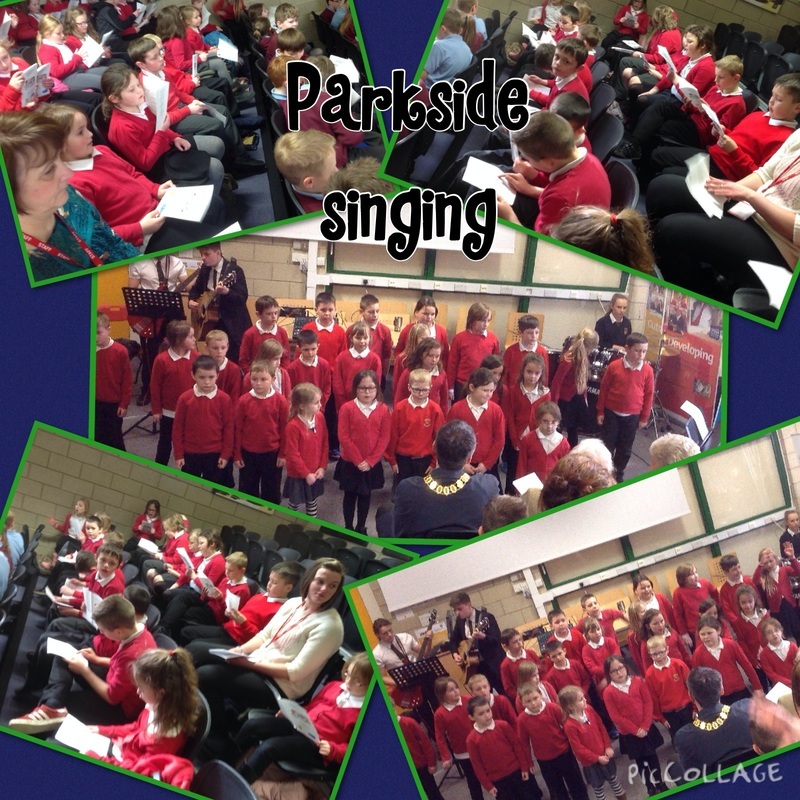 Well Monday was the day we walked to Parkside and performed it in front of The Mayor! He said he was super impressed that we learned our whole song in just 2 days and he loved when we mentioned our skeleton display. What a great Monday! 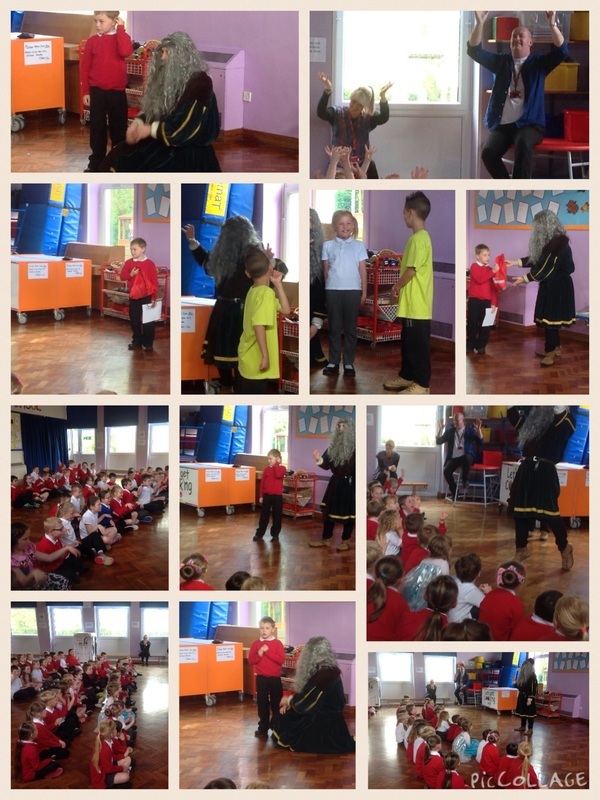 On Monday Class 3 were visited by a very special guest. His name was Eric and he was a crew member with St John's Ambulance. 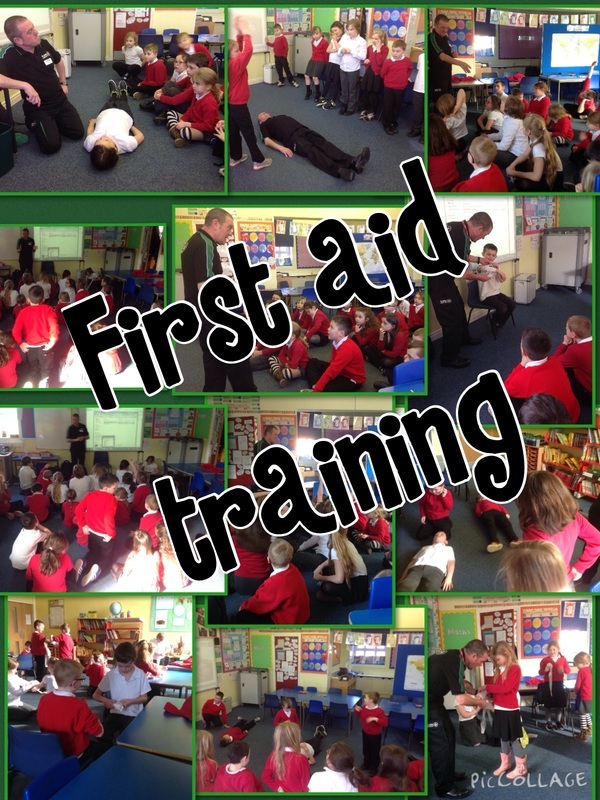 He came into school to teach us some essential first aid and told us step by step what to do in case of finding a casualty. Then he even let us have a go at bandaging wounds correctly on each other before we asked him lots of questions about his job and keeping people safe. It was a great morning and we are so grateful to Eric and St John's for coming into our class and making us certified first aiders. If there's an accident on the yard- you know who to ask! Today in Class 3 we had the chance to share some of the image poems we have written through the week aloud to the class. We first watched videos of some professional poets reading their poetry out loud. They were clear, slow and used lots of expression- we tried to do it just like them. After we had read some of our work out the class even helped make it better or tell us some of the features they enjoyed. Then Miss Ball placed all of our work on the tables and we had five minutes to read some and select the poem we liked the most and explain why. 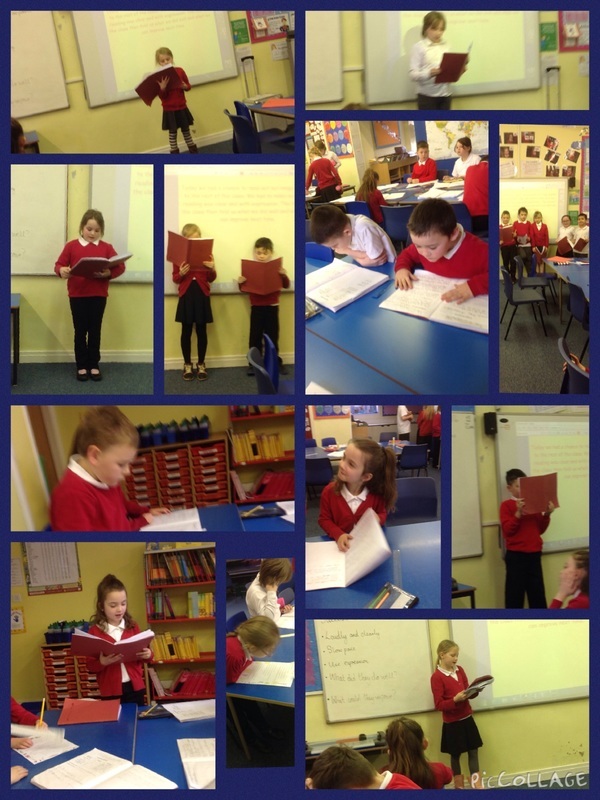 We had lots of fun reading out our poems and having the chance to see our friends work too. Hope you enjoy some of the pictures from today. One of Class 3's favourite lessons is Spanish, we even answer the register every morning using Spanish. So far we already know some greetings, our numbers to 20, how to answer the register, the colours of the rainbow and we wanted to share with you our song and dance routine to remember all of the days of the week. We had so much fun this Viernes and we can't wait for Lunes! Have a lovely Sabado adn Dimango! Our teaching assistant, Miss Haigh, has been super busy over the past couple of terms leading a weekly Let's Get Cooking club. Lots of us have had the opportunity to learn how to make yummy (and healthy!) treats and meals. We even get to take all of our food home with us. 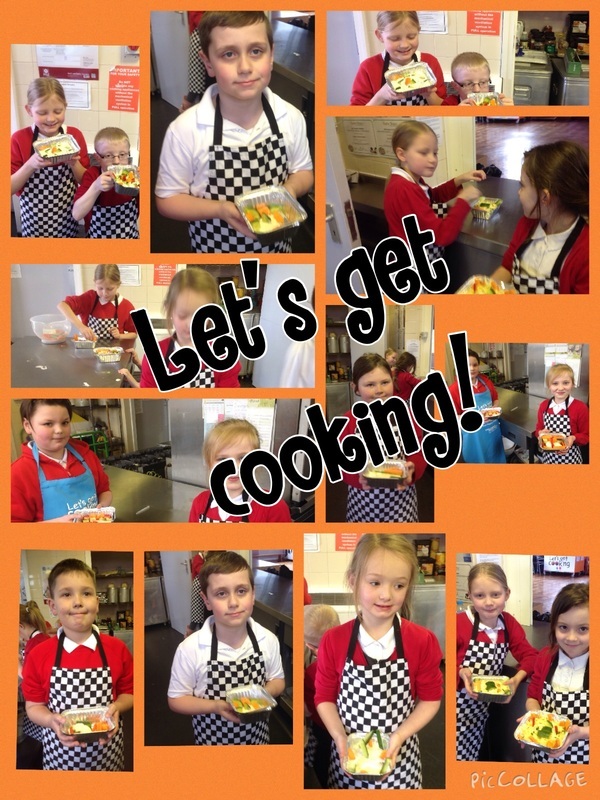 We thought you may want to see some pictures of us before we become really famous chefs! We have a Sunnybrow song! It's called We are Sunnybrow Primary and we love it! 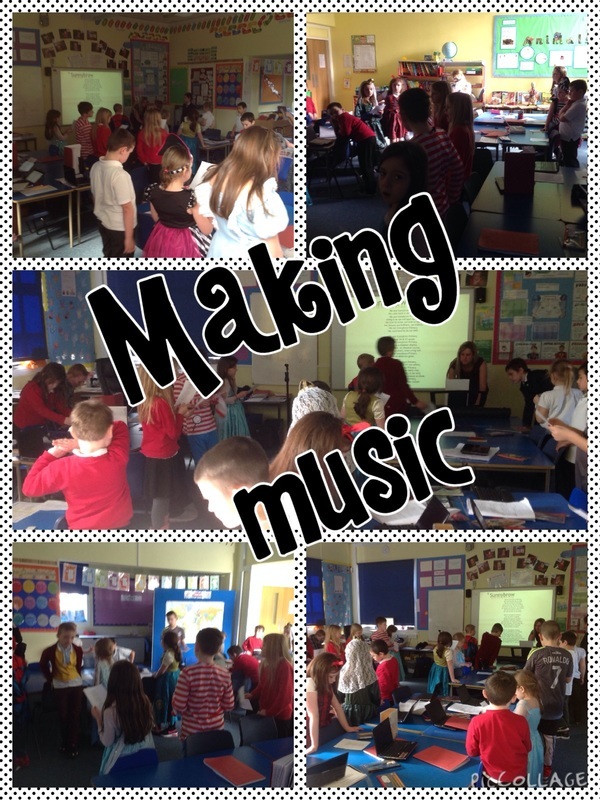 We can't wait for you to hear it when we perform at Parkside on Monday. Stay tuned! 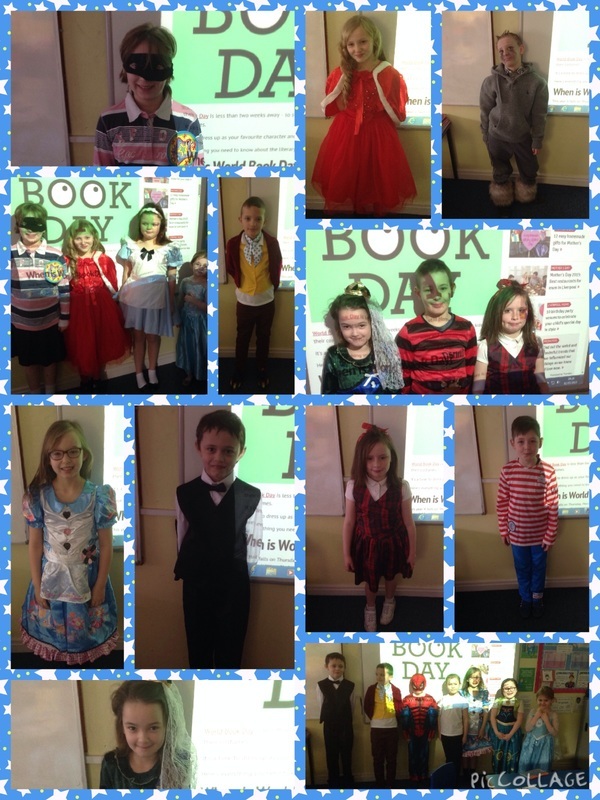 All over the country children celebrate World Book Day to share our favourite books and stories with each other and best of all lots and lots of reading. Enjoy the pictures of Class 3 this morning! 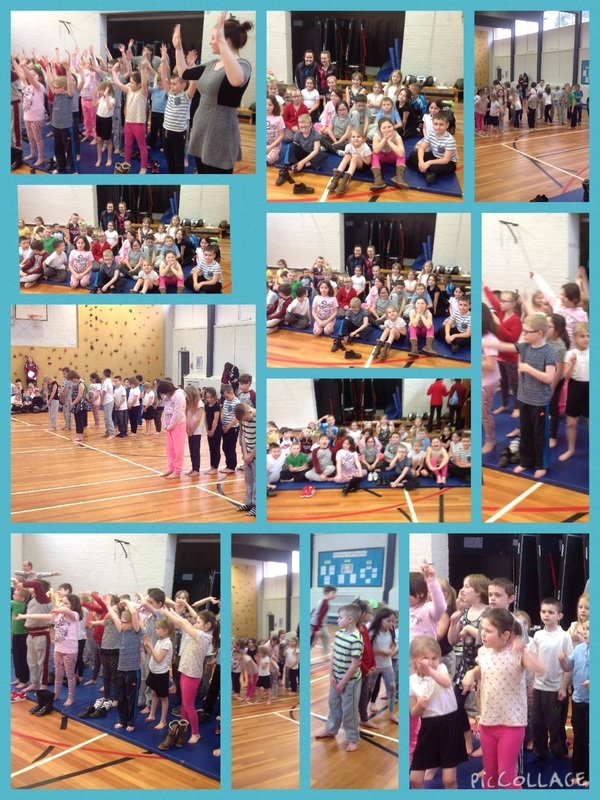 Class 3 took part in a dance festival with six other primary schools at Parkside. We danced to the song Cheerleader by Omi. We all worked as a team to create our dance and with the help of our dance teachers Holly and Chelsea we really impressed the other schools! For our Science topic Class 3 have been investigating animals (including us humans) As part of this topic we decided to investigate how food gives us energy and where food goes after we have chewed it up. 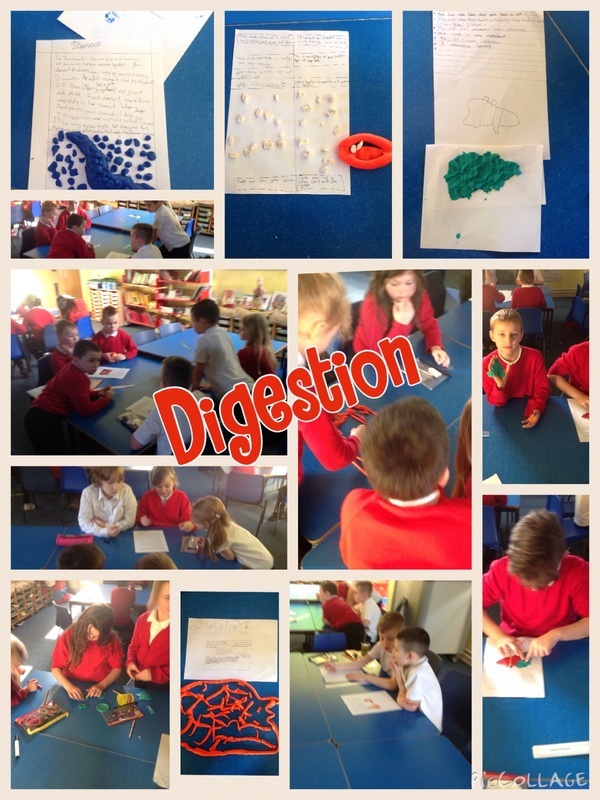 We discovered that lots of organs play a big roll in digesting our food and turning it into energy. We then split into groups to investigate each of these important organs and make a matching play do model.